“If you can’t make the wedding, at least you can be there for our honeymoon,” said my British buddy, Vanessa Plant this summer while I was in the UK. It turned out that she and her new hubby, Simon, were planning to visit me in South Carolina after their artsy al fresco wedding at Brighton’s Bandstand in October. Quite a responsibility for me to make sure that the two 50-ish newlyweds had the honeymoon of their lives! After three days in New York and a trip to Asheville, NC, they met me in Columbia where my first job was to show them around South Carolina’s capital. Although it is not exactly a tourist town, I was able to impress them with the Tara-type mansions, gorgeous golf courses, retrogressive State House (still sporting the Confederate flag) and far-fetched fried food at the annual State Fair, before setting off for the charismatic coast. For the third year running, Charleston (http://www.charleston-sc.gov) has been voted the USA’s best city by readers of Condé Nast Traveller. 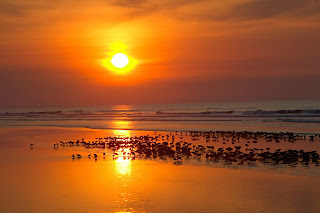 Nearby Kiawah Island (http://www.kiawahresort.com) is also USA’s top mainland island so I figured these would be perfect destinations for a second-time-around honeymoon. Up until recently, San Francisco was my favourite US city. But now Charleston pips San Fran for me on friendliness, atmosphere, history, shopping, lodging and restaurants – all the criteria used for the Condé Nast awards. And I was pretty confident that my friends would love it too. Vanessa was initially struck by how walkable Charleston is with its flat topography, closely-knit centre and remarkable absence of traffic: “You can actually hear the birds in this city,” she said while exploring the historic Battery area with its sea-wall promenade. “Life is happening around you, with people doing their daily business and a few runners around, but there are so few cars even at 10 am.” The antebellum architecture – immense shuttered mansions and townhouses sporting extravagant window boxes and gracious verandas - brought to mind sultry Southern belles trying to keep cool with mint juleps, rocking chairs and overhead fans. Relishing the smell of the sea in the air, Vanessa found the pong of the pluff mud at the harbour less palatable but enjoyed the expansive views towards Fort Sullivan where tough Palmetto log walls managed to repel British cannonballs during the Revolutionary War in 1776 - giving South Carolina it’s nickname ‘The Palmetto State’. As a self-confessed shop-a-holic, one of Vanessa’s first priorities was to trawl the one-off boutiques and designer stores on King Street onto which our Society House (http://www.thesocietyhouse.com) condo abutted. “You could come here with an empty suitcase,” exclaimed Vanessa who spent the next few days working out how many purchases she could cram into her luggage, including handmade boots from The Charleston Shoe Company (http://charlestonshoeco.com). Even hubby Simon was impressed with the affordability of designer jeans, footwear and electronics. Unlike other cities in the USA, Charleston’s best shopping is not in a monotonous mall but in a meandering high street, with eclectic eateries and cute cafes tucked away in side streets. Halfway along King Street is the art deco Riviera Theater, now used by Charleston Place Hotel (http://www.charlestonplace.com) as a ballroom and conference center. Anyone who hovers near the various sweet shops in and around King St is treated to samples of pralines – handmade, warm pecan toffee confections that literally melt in the mouth. Naturally the Plants stocked up on these at River Street Sweets (http://www.riverstreetsweets.com) to take home as souvenirs. They were also delighted by Christophe (http://www.christophechocolatier.com), a French bakery just across the road from Society House. Its croissants and pastries are perfect for a boulangerie-style breakfast or afternoon tea and it also specializes in strangely techni-coloured – but delectable - handmade chocolates. The food in Charleston is unfailingly good whether it’s pub grub at The Blind Tiger (http://www.blindtigercharleston.com) on Broad Street or posh nosh and jazz at High Cotton (http://www.mavericksouthernkitchens.com/highcotton/charleston/). “I’ve never liked oysters before,” said Vanessa. “But fried in buttermilk at High Cotton they are delicious.” The four of us tried various decadent dishes including rack of lamb, succulent steaks, local mussels with clams, and an incredible Caesar salad in a basket-shaped crouton made from fried brioche. Rooftop bars are popular in Charleston due to the cooling effect of the winds and the panoramic views over the relatively low-rise city. Charleston was the first city in America to enact a preservation ordinance and Mayor Joe Riley has made certain that buildings don’t top the 100 or so church spires which dominate the skyline (http://www.visit-historic-charleston.com/Charleston-SC-Historic-Churches.html). This means that rooftops at the Market Pavilion Hotel (http://www.marketpavilion.com) or Vendue Inn (http://www.vendueinn.com) have unobstructed 360-degree views of the harbour and downtown. And he also insisted on renovation rather than demolition, keeping the architecture, history and culture intact – unlike most US cities where anything over a decade or two old is bulldozed to make way for modernization. There are even a few cobbled streets left in Charleston and many tourists circumnavigate the Old Slave Mart museum, pillared Renaissance Revival civic buildings and historic French Quarter in old-fashioned horse-drawn carriages. Due to the antiquity of the city, which was founded in 1670, there are also goose-bump ghost tours every evening. A great way to imbibe the history and ancient culture of Charleston is to visit a plantation. The Historic Ashley River Road District, just nine miles from city centre, is home to three plantations where visitors can tour houses, slave quarters, swamps and gardens. With Vanessa and Simon on the hunt for alligators, we picked Magnolia Plantation (http://www.magnoliaplantation.com) for a boat trip as well as house tour. After snapping dozens of gators while they warmed up in the afternoon sun, we swung on wooden chairs in the romantic flower gardens surrounded by peacocks and chickens. Over pimento cheese and pulled pork sandwiches from the outdoor café, we tried to imagine what life must have been like for the immensely wealthy plantation owners and the less fortunate African slaves. Today, African-Americans – some of whose ancestors were educated at an illegal school by Magnolia’s progressive plantation owner – have managed to retain their Gullah cuisine, arts and crafts which can be seen in Charleston galleries and restaurants such as Hugers (https://www.facebook.com/pages/Hugers/145789288791473) on North King St. The sweetgrass baskets sold at the City Market date back to skills brought over from Sierra Leone in the late 1600s. A tour of Charleston Tea Plantation (http://www.charlestonteaplantation.com) is also interesting as it is the only one in North America and the only tea produced anywhere on flat ground. Elsewhere in the world tea is picked manually from hillside terraces but in Charleston artful irrigation and a unique threshing machine mean that tea can be harvested from the field by machine. Great tea but the place really cries out for a cute café serving scones and cakes! In Charleston there is no real “season” – tourism is year round due to the consistency of good weather as well as events, entertainments and festivals. I’ve found myself so hot in December that I ended up swimming and sunbathing on the roof of the ritzy Charleston Place Hotel. In October the weather is comparable to a hot July in the UK or September on the Med. So a visit to the seaside is a must. 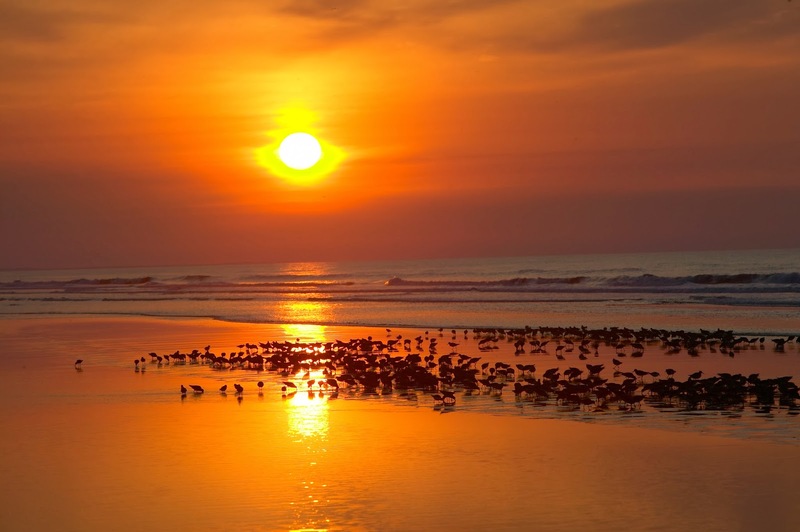 Having travelled a couple of times around the world and visited the romantic idylls of Fiji, the Great Barrier Reef, South Africa, Vietnam and Mauritius, I had already decided that Kiawah’s beaches are the best in the world. “I have only seen beaches so flat and so long and sandy like this in Australia or in films,” agreed Simon, who got up each day at dawn with Vanessa to photograph the spectacular sunrises. “It felt like an ancient ritual with everyone turned toward the sun in a kind of worship,” he said. Having seen the Low Country landscape during TV coverage of golf at Kiawah and nearby Hilton Head, Simon had a mental picture of what scenery to expect but hadn’t appreciated just how tropical it really is there. “The dense trees and greenery are amazing and the weather in October is perfect for us Brits,” he said. “You can stay out in it all day without getting too burnt and really enjoy the sea, paddle-boarding, swimming, watching the dolphins and pelicans and just playing on the beach.” The flat-packed white sand is also ideal for long walks, jogging and bike-riding. A few miles along the beach at Captain Sam’s Inlet, hardy walkers can sometimes see strand feeding where Atlantic bottle-nosed dolphins shoal fish right onto the shore. Barring July and August holidays which attract multi-generational family reunions, Kiawah’s clientele tends to be mature. Throughout the year there are corporate groups, spa visitors, celebrities eluding the paparazzi and golfers re-enacting the trials and triumphs of their favourite pros on the Ocean Course. The best time for Brits is November to March when there are affordable deals for The Sanctuary or nearby self-catering villas and packages for golf and gourmet, girls golf weekends, spa stays, etc. Kiawah is about 45 minutes drive from Charleston and once you arrive you don’t need your car. The hotel shuttle will take you wherever you need to go day or evening for free. Service is five star everywhere including the beach where you can have cocktails or lunch delivered to your pristine sunlounger, draped in a fitted toweling cover and shaded by an umbrella. While Vanessa ordered mojitos, Simon rented a paddleboard and trolled up and down the balmy waves. Kayaks and bikes are available, too. Eating is topnotch all around the resort whether it’s pizza or lobster. If you book a villa you can defray the cost with some self-catering courtesy of the food shops at Freshfield Village (http://www.freshfieldsvillage.com) but you will still want to dine out at Kiawah Resort’s array of 12 different eateries. For upmarket, there’s The Ocean Room with gourmet steaks and sushi. Tomasso’s at Turtle Point golf club serves mid-priced munchies in the restaurant or more laid-back bar. When ordering at The Lobby bar in The Sanctuary you can sit on comfy Adirondack chairs overlooking emerald lawns and the pelican-patrolled horizon. The Cherrywood BBQ and Ale House serves gastro-pub nosh and local beers. Other island options include fresh fish and chip lunches at the Straw Market café and a selection of eateries at nearby Freshfield Village, a pretty pastel high street with boutiques, ice cream parlours, grocery stores and restaurants. Final verdict from the newly-weds: both Charleston and Kiawah are the ultimate honeymoon spots for mature marriages. “So much better than Europe as it’s uncrowded, beautiful and people are so friendly,” said Vanessa who was blown away by the complimentary champagne and chocolate strawberries brought to her club-floor suite. And, having seen but not played, all the famous golf courses, Simon’s already planning their return trip next year: a South Carolina golf trail. I guess that means the honeymoon is over! Sounds like you guys had a great time! I really love the pictures! South Carolina is gorgeous and a great place for a honeymoon. Charleston is one of my favorite places there. My husband and I are actually looking over Charleston,South Carolina real estate options. We currently live up north but would love to move down south where it's a bit warmer!